The first non festival tourdate was Richmond with some of my favorite dudes, the Audio Ammo crew. Right as I got into the city I realized that they had put me in a hotel next to a Sheetz. 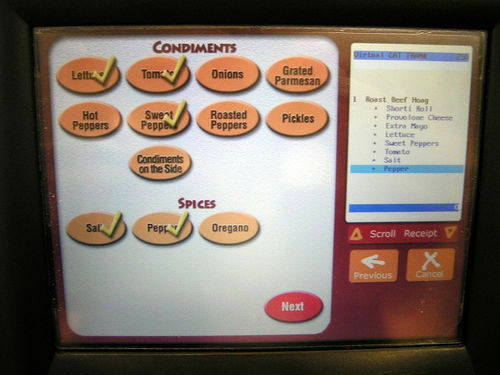 For those of you who dont know what Sheetz is, it basically has one of the most entertaining ways for a drunk person to order food, via touchscreen. keep your eyes peeled on this site for some cameos of the killer rebel swag I picked up here, I have a feeling it’ll go over well at my next gig this thursday in Mississippi. This entry was posted on April 3, 2011. It was filed under Flyers, Tour Diary, Videos.